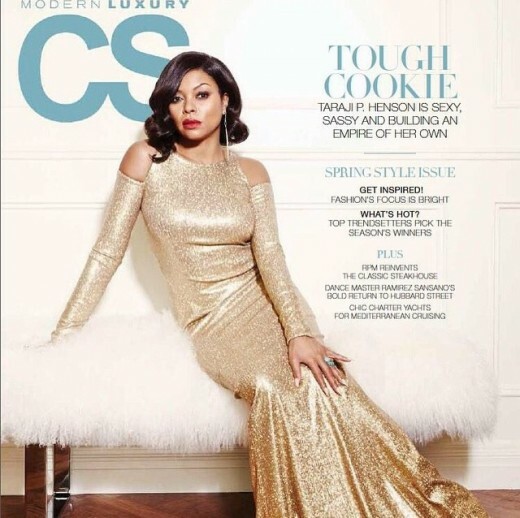 Taraji P. Henson Will Not Send Her Son to USC for Him to be Racially Profiled! “Empire” star Taraji P. Henson has announced that she will NOT be sending her son to or investing her money into University of Southern California due to an alleged racial profiling incident involving him! Instead she will send her child to her Alma Mater and HBCU, Howard University. The beautiful Taraji P. Henson has decided that her child, Marcel Henson will NOT be transferring to USC! Apparently, her child was racially profiled, she explained to Uptown Magazine! My child has been racially profiled. He was in Glendale, California and did exactly everything the cops told him to do, including letting them illegally search his car. It was bogus because they didn’t give him the ticket for what he was pulled over for. Then he’s at University of Southern California, the school that I was going to transfer him to, when police stopped him for having his hands in his pockets. So guess where he’s going? Howard University. I’m not paying $50K so I can’t sleep at night wondering is this the night my son is getting racially profiled on campus. I was deeply disturbed to read news reports about a prospective student who felt profiled on or near campus because of his race. We encourage reporting of allegations of bias and I hope for the opportunity to have a conversation with the young man and his mother. It is not clear to me which police departments were involved. Any allegation of bias or unequal treatment by university officers would trigger an investigation that I would supervise along with the university’s Office of Equity and Diversity. It is my expectation and that of the university that our department uphold the highest standards of constitutional policing, affording equal rights and respect to all persons. It’s unfortunate that stuff like this is still happening, but I do not blame Henson! Parents send their children to school to get an education, not be in fear of their safety. Furthermore, as a HBCU (Clark Atlanta University) alum, I think Marcel will have a wonderful time at Howard!